It takes a few to make a village, several to make a town, but all to make a community. Below are the reputable businesses that have built our community through the years. Please visit their site and their locations to receive the full flavor of the home we call San Diego! Mo’s Universe is about all things fun in San Diego! A creative site that offers live video feeds of Urban Mo’s and Baja Betty’s, so you can check out the scene. Blogs and pictures and things to know abut fun fun fun! Check them out & enjoy! Since 1983 Flicks has been San Diego’s Premier Video Bar. A great place to relax and kick back with new and old friends. A welcoming staff and great service, we highly recommend this venue. Urban MO's as a hetero-friendly gay restaurant that makes the best burgers in San Diego, hands down. We're colorful. We're fun. We're the best time you'll have on any given afternoon, and an even better time in the evening. We believe that cocktail glasses should be adorned with plastic farm animals. We believe that San Diego is better served with outside patio seating. MO's is more then a bar, more then a restaurant, and more then San Diego's number one GLBT hot spot, we're part of what makes Hillcrest, Hillcrest. 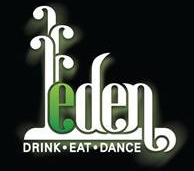 EDEN, the enlightened lovechild of NightlifeSD’s David Laurent and ChileCo Catering’s Chef Scotty Wagner has begun to breathe life into the 14,000 square foot Hillcrest entertainment complex on the corner of University and Vermont. Where vanity was lost, paradise is found! Eden will illuminate your soul and stimulate your palette of persuasion with an array of sensory indulgences. This garden of earthly delights is lush with unparalleled landscaping, seductive sounds and state of the art lighting. The bounty of eye candy at Eden is bound to radiate heavenly rewards . . . When it does, face your fear of judgment and nibble on some of our fruitful temptations. Eden is a Utopia where all vices are virtuous! Rich’s is San Diego’s biggest and most popular gay nightclub. Rich's is a 21+ nightclub. We have 2 big rooms each with their own bar and dance floor, a VIP area with 4 private VIP booths, a private party room that overlooks the main dance floor and a smoking patio. Rich’s is located in the heart of Hillcrest. We are open 10pm–2am Wednesday through Sunday. The Brass Rail is a fun dance bar (recently remodeled to include table service) with themed nights. A nice outdoor patio faces the street for an easy step outside to view the Hillcrest passersby. Serious Night Clubbing with Not so Serious Attitude. 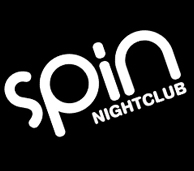 A beautiful night club serving the San Diego Community with extraordinary musical talent for your dancing pleasure.